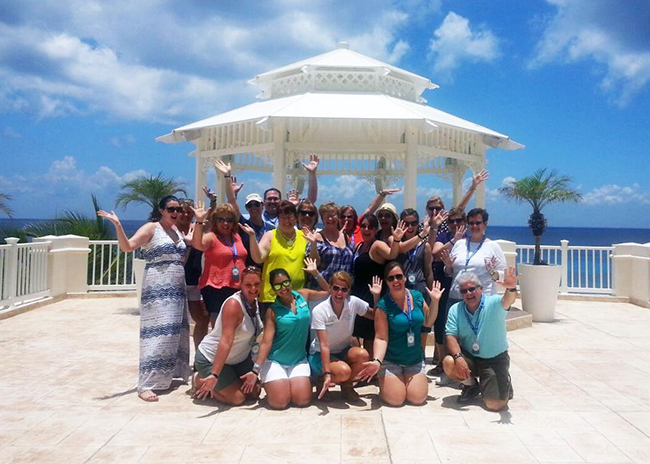 Here’s Why Your Private Taxi Tour Will Be The Jewel In The Crown Of Your Cozumel Visit! … taken to wherever YOU choose, whether it is the fascinating Mayan ruins, buying exotic handicrafts in the colorful local market, snorkeling, crocodile watching, making your taste-buds dance with delight on delicious seafood or guacamole with plenty of ice-cold beers - or even seeing how tequila is made (and enjoying a sample or two!). And all this will be at the start time and to the pace that YOU set, because this is a totally private tour, laid on JUST for you and your party. Forget Cruise organized port Excursions"
We booked a three hour tour of the island after a snorkel trip in the morning. Alberto, our driver, was excellent and gave us a wonderful tour of the island and a great restaurant on the east side of the island for fish tacos. With a Family of eight, I like booking tours outside the cruise lines and research the companies thoroughly before I sign up. 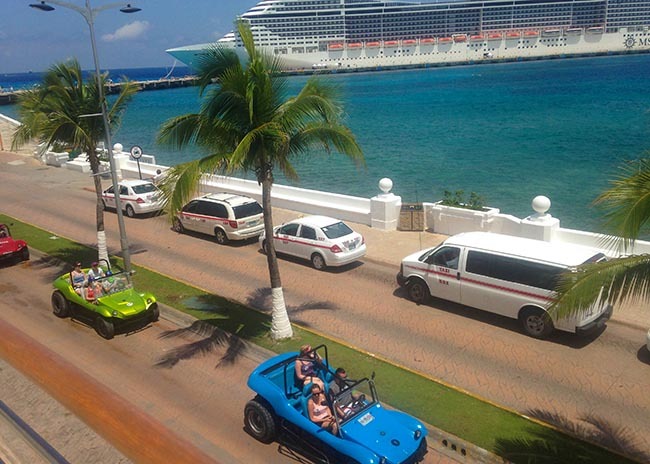 The recommendations given by Cozumel Hire a Driver were spot on and very accurate. Their email communications were easy to follow and very professional. In summary, you feel comfortable in booking with this company ...you will enjoy your trip! 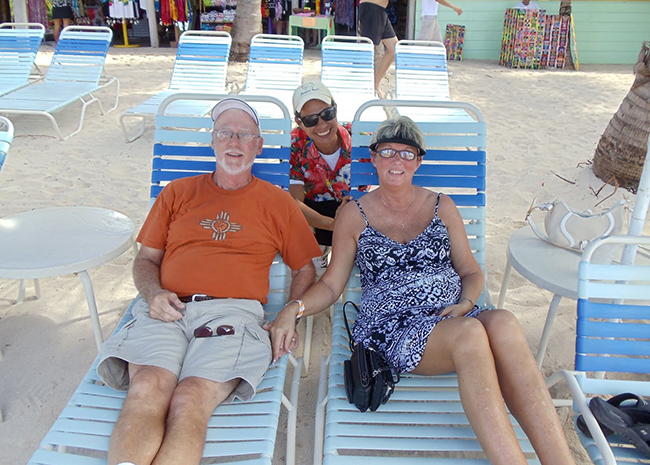 Hello … my name is Alberto Novelo and – along with my brother, Jorge, and my cousin, Sandy – it’s my pleasure to welcome you to beautiful Cozumel where we have been providing the best private tour services in Cozumel for 20 years, with a total of 50 years driving experience between us. And it’s important for you to know that – whether I or my brother, Jorge or my cousin, Sandy is your driver, you are being chauffeured by one of the owners of the business – not merely a disinterested employee. Unlike some private tour drivers, who hire vehicles on a daily basis, we own our vehicles, which are carefully maintained and valeted to the highest standards of reliability, safety and comfort. That means we are very proud of our reputation and will work extremely hard to ensure your total satisfaction and enjoyment. In addition, your day won’t be spoilt by a driver who struggles to communicate in broken English. That’s because all 3 of us Speak fluent English and hold an American English ‘Test of English as a Foreign Language’ certificate – unlike any other drivers in Cozumel. What’s more, we are unique among all the private drivers in Cozumel, being the ONLY private hire drivers in the whole area who have all been awarded the coveted Federal Tour Guide License from the Mexican Tourism Board. This involves a grueling one year certification process and is your assurance we possess extensive knowledge of Mexican culture – both past and present – as well as having intimate knowledge of both the local archeological sites and museums. Your vehicle is a spacious, reliable micro-bus capable of transporting up to 11 passengers in perfect comfort. It is fully equipped with highly effective air conditioning throughout the vehicle. If you have children between the ages of one to three, we can supply a maximum of two child sets for an extra charge of $15 USD per seat – just let us know when making your booking. And while other private tour companies will charge you to supply a cooler and water, you can enjoy our unique ‘Welcome Pack’ of a cooler with ice and a large case of purified bottled water completely free of charge, with other beverages and more ice available for a modest charge. OUR ‘Welcome Pack’ has a value of $15 USD, but is given to you with our compliments because we treat our clients as the VIPs they are. Much more than just transportation"
Our Family of six enjoys having our own personal tour guide so we can explore what we want to see! Alberto was very pleasant and knowledgeable of the island. After a few minutes of talking in the morning, he quickly realized what we were interested in seeing and doing on the island and made for a very enjoyable and exciting day for us on Cozumel! If you're looking to learn about the island and see all of its hidden jewels, I highly recommend this tour! It was much more than just transportation around the island! 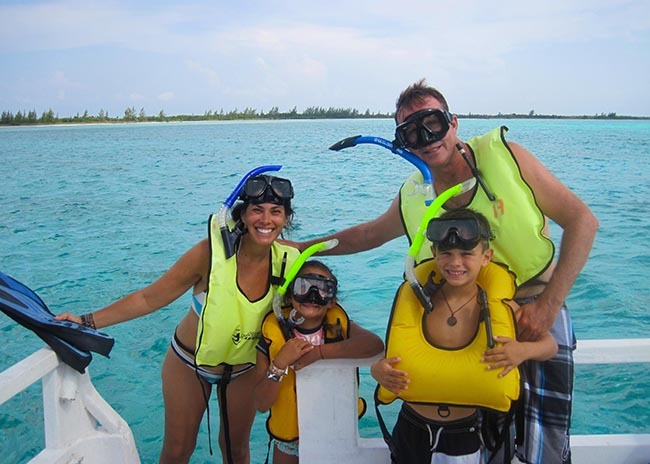 Best Tour for Families with Children"
Sandy was amazing, took us to great places that were affordable, brought us to the east coast that is GORGEOUS. 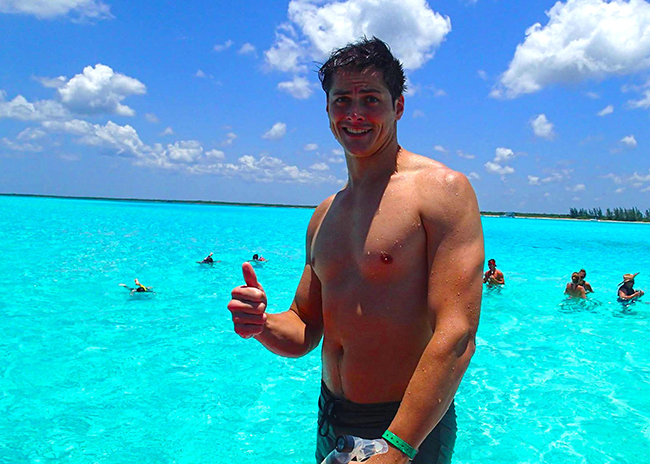 He had a lot of connections and really knew a lot about Cozumel. We went to the Chocolate tasting, Tequila Tour, Mayan Ruins, Sightseeing & Swimming the Beaches on the east side of the Island. Sandy was great with our 5 year old twins. It was honestly a truly personalized tour. Will definitely book again when we return to Cozumel. 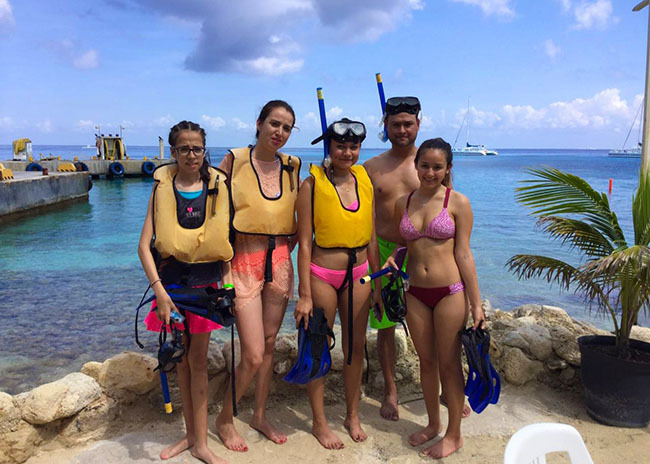 Amazing family trip that even teenagers will LOVE"
We had Jorge as our driver. I had a brief overview of what I wanted to do, and he had ideas to compliment that. We stopped at the Mayan ruins where we were guided by Jorge himself as he is a licensed guide. Once at the beaches on the east side, we stopped to see the turtle nests. And had lunch at Punta Morena (fish tacos to die for), and cocktails at Bob Marley's house. Back in town we went shopping and had cocktails again, this time on the rooftop of the Museum with a view to Cozumel’s bay area. Then dropped back off at the cruise ship. For Large Groups with Seniors, and Ladies' parties too! Awesome way to see the island - Especially with Seniors"
4 separate Cruise Excursions for the Price of One"
We were 10 ladies and were met right at the Cruise Pier. We went to have fabulous margaritas at Buccanos. Then shopping at the local mercado and plaza (where we got discounts because our driver knew a lady there). Then we stopped by the pharmacy to buy cheap meds, and had delicious fish tacos by the ocean front. Our guide Alberto was a lot of fun. I would highly recommend this company. 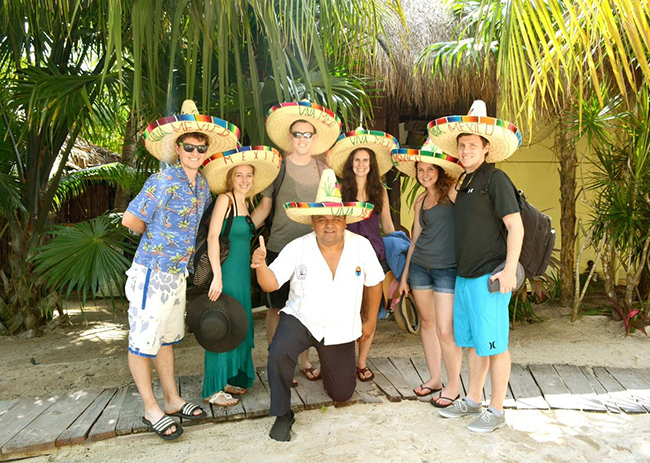 What sets us apart from other Taxi tours in Cozumel? We are a family owned business and all three of our drivers are family members and joint owners of the business. So we are far more motivated to make your day wonderful in a way no employee could ever do. 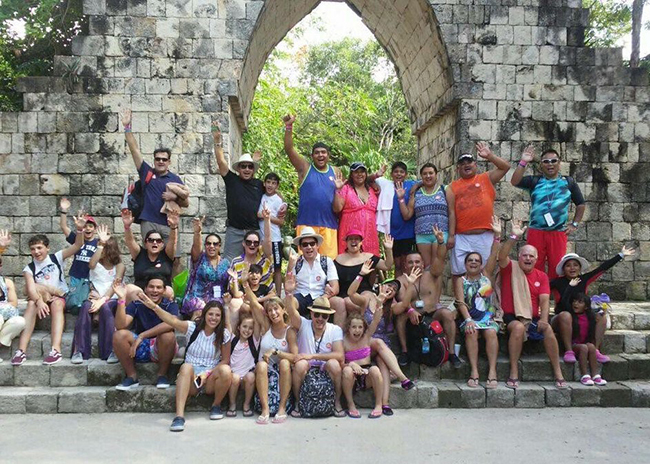 We are unique among all the other Cozumel tour companies being the ONLY private hire drivers on the island possessing the coveted Federal Tour Guide License from the Mexican Tourism Board. This means you can be confident we have an unmatched range of knowledge about Mexican culture and the local archeological sites and museums. What’s more, all 3 of us speak fluent English and hold an American English ‘Test of English as a Foreign Language’ certificate. Although our vehicles are designed to safely transport 11 passengers, we never fill the vehicle to capacity by putting you with another party. That means your party will enjoy a totally private tour and it also means we can give you a five star chauffeured service like no other, with ample room for you to relax in spacious, air-conditioned comfort. While other private tour companies will charge you to supply a cooler and water, you can enjoy our unique ‘Welcome Pack’ (value $15 USD) of a cooler with ice and a large case of purified bottled water completely free of charge. Other beverages and extra ice is available for a modest charge. 3 hours - For those Travelers that want to squeeze a quick Taxi tour among their short visit to the Island. 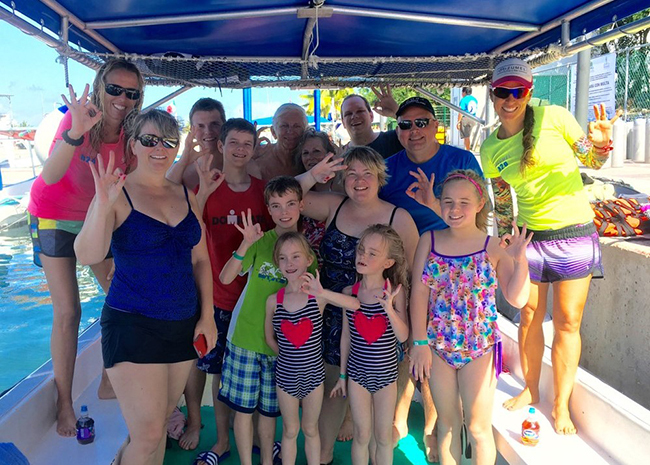 5 hours - Our Most Popular option amongst Families & Cruisers alike. 8 hours - The right choice for those Travelers that want to see it all & at their own pace. Bottled Purified Water onboard (Courtesy). Professional and English speaking Tour Guides. Pick up at designated Meeting Point across the street from your Cruise Pier, or directly at your Hotel. Parks & Attractions Entrance Tickets. Gratuities – optional, of course. El Mercado (for Shopping). That's the local market. Handicrafts Store Shopping in downtown. Visit the local Pharmacies for discounted over the counter medicines. Tequila History & Tasting Tour at Hacienda Antigua. Sightseeing the Beaches on the East side of the Island. Fish tacos, Sea Conch Ceviche, and Seafood at the East side Restaurants. Cold Beers, Guacamole, Salsa & Chips at famous Coconuts Beach Bar. Mojitos or Ice Cold Coronas at Bob Marley's Bar. Punta Sur Ecological Park for Snorkeling, Bird Watching, or Crocodile Sightseeing. 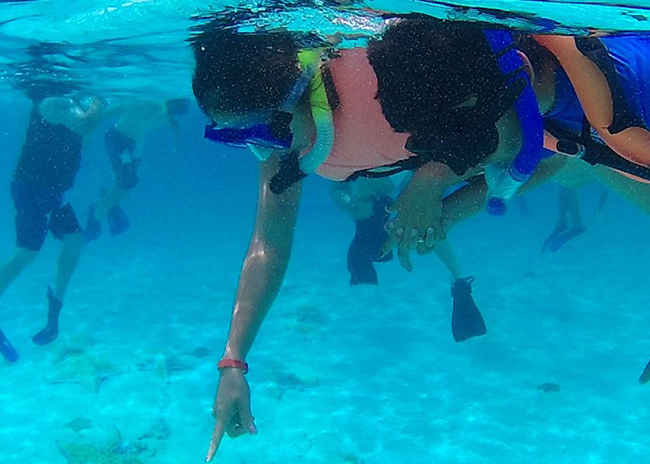 Chankanaab National Marine Park for Snorkeling, Water Activities, Shopping, and more. ***These are all suggested stops, and can be rearranged to suit your taste. Our Vehicles are equipped with A/C, CD Player, and Cooler. Meeting Point is across the street from the Cruise Pier. We can pick you up directly at your Hotel, or Ferry Pier if coming from Playa del Carmen. Made-to-measure Private Taxi Tours. We are on your time and schedule. Our Itinerary is a suggestion and you can customize it as you wish. Our Trips in 2-words: No worries. 11 Passenger Nissan Urvans with Double A/C. Carl’s Jr Burger Shop at Royal Village Shopping Mall for most Carnival, Royal Caribbean, Celebrity Cruisers. Starbucks at Punta Langosta Shopping Mall for Disney Cruisers. Ferry Pier for Travelers coming from Playa del Carmen. Hotel Lobby or Vacation Home for those clients staying directly here in Cozumel. We will meet you at any time you choose from 6.00 am onwards. This is a totally private tour for you and your party alone (we NEVER combine two parties in the same vehicle). So you alone decide when you want to be met – which can be any time from 6.00 am to 1.00 pm, seven days a week. 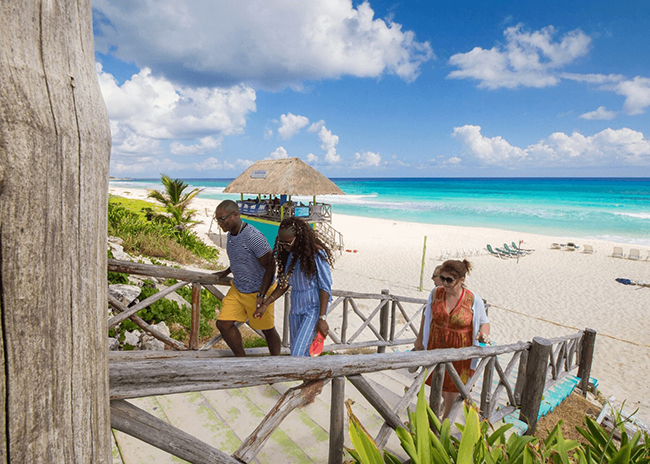 If you are arriving on a cruise ship or the ferry from Playa del Carmen, then allow 30 minutes from docking to cover any delay in embarkation. Your tour can last either 3, 5, or 8 hours. Depending on your chosen option. If you’re on a Carnival or Royal Caribbean cruise ship we will meet you at the Carl’s Jr Burger Shop at Royal Village Shopping Mall. That is situated directly across the street from the Cruise Pier. Arrange to meet your driver at least 30 minutes after you are scheduled to dock to allow for embarkation. If you are on a Disney or Norwegian Cruise ship we will meet you at Señor Frogs at the Punta Langosta Pier. Arrange to meet your driver at least 30 minutes after you are scheduled to dock to allow for embarkation. If you’re coming from Playa del Carmen we ́ll meet you directly at the Ferry Pier in downtown where you will dock. Arrange to meet your driver at least 30 minutes after you are scheduled to dock to allow for embarkation. If you are staying at a hotel in Cozumel we ́ll meet you right there in the lobby or the main vehicle entrance. We can even meet you at a downtown meeting point by prior arrangement. Wherever you’re coming from, you’ll receive full directions with your Confirmation Email that will be sent to you immediately when you book your tour. Snagging some over the counter medicines at a nice discount in the local pharmacies. Give your taste buds a holiday treat at our local chocolate factory (chocolate originated in Mexico, so you can be sure of getting the REAL thing!). The ‘Tequila History and Tasting Tour’ at the historic Hacienda Antigua. 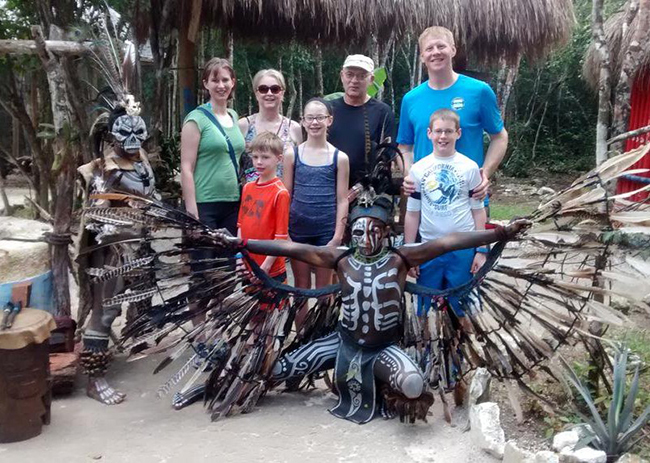 Be sure to see the amazing San Gervasio Mayan Archaeological Site (and keep a sharp eye out for the site's resident iguanas, basking in the sun). Sightseeing on the spectacular East Side of the island (known locally as ‘The Other Side’) , with its wonderful seafood restaurants. Or you can taste authentic Mexican fare at the famous Coconuts Beach Bar or try the mojitos or ice cold coronas at Bob Marley's Bar. Bird watching, or watching crocodiles then we’ll head straight for the Punta Sur Ecological Park. Even more water activities, including snorkeling (and more shopping) at the Chankanaab National Marine Park. You can easily see what a wonderful memory-filled day we can offer you, but you’re concerned if the cost of your trip is within your budget. Fortunately, we are a small, privately owned business so, by booking direct with us, you cut out the middle man and instantly save approximately 40% compared with making a booking via your cruise ship. We trim the cost further by having all our bookings online, which gives you the key advantage of being able to immediately see if your choice of a particular day for your trip is available. We offer three lengths of tour of 3hrs, 5hrs or 8hrs, which can start at any time from 6.00 am and finish as late as 8.00 pm. Because our goal is your total satisfaction, we ONLY ever take ONE party on EACH trip. That means that where we go and what we do is entirely YOUR CHOICE – you don’t have to risk spoiling your trip of a lifetime by making compromises to accommodate the different choices of another party. Please note that all bookings must be made at least 48 hours in advance so we can obtain clearance to meet you at our designated meeting point. Immediately after your payment is processed you’ll receive a Confirmation Email with full directions explaining where to meet our driver. If you don’t have access to a printer, simply make a note of the directions and arrive at our meeting point with your passport or other photo ID. If you are coming to Cozumel via Cruise Ship, and your Cruise gets re-routed off Cozumel for any reason. I will give you a FULL REFUND. 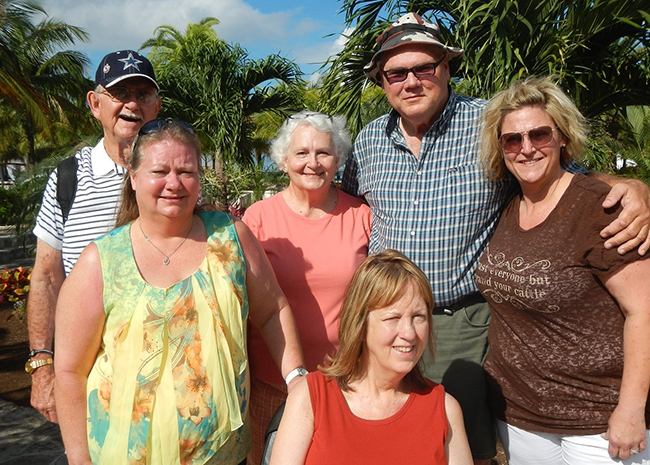 Last week 53 Travelers booked our Taxi Tour to enjoy Cozumel like a local. Today it's your turn. Although you will be able to enjoy the many advantages of dealing with a local family owned business, it does have one severe downside. Because we only have 3 drivers, each of whom can only undertake one trip a day and most of our clients come from the cruise ships, which bring in around 20,000 cruise visitors daily. Consequently, we get booked up lightening fast seven days a week. That means a total of 3 slots open daily which, with most of our clients come from the cruise ships, which bring in around 20,000 cruise visitors daily, quickly get filled up. You can make the smart move and immediately decide which day you want to take your tour on and instantly be able to check if we are available. Then, once you’ve made your booking, you can relax and enjoy the warm feeling of knowing you’ve made a wise choice and start to plan your trip to make it a truly FIVE star memory. I and my family are really looking forward to meeting you and showing you our wonderful island first hand! Yes, our Drivers speak English. Over 50 Travelers just last week rated this Taxi Tour 5 stars. Are you going to miss it? Why should the best be reserved for others & not you? 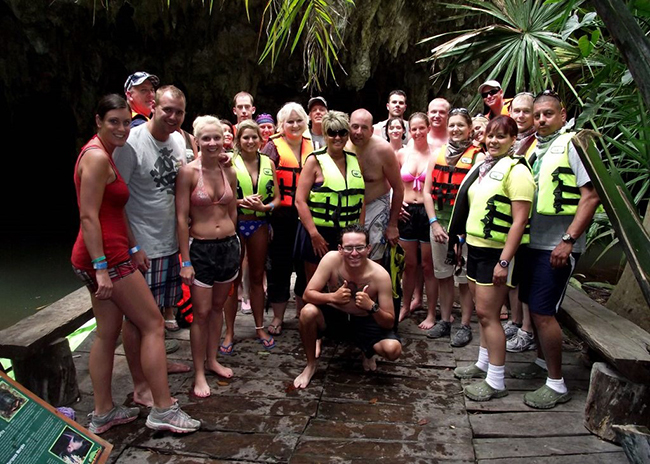 Haven’t you worked hard to afford this trip to Cozumel and so don’t you deserve the best that is on offer? Because we focus on giving you the highest possible experience, thanks to our uniquely qualified and highly experienced fluent English speaking drivers, we are strictly limited to only three trips in any one day. I’d hate for you to be disappointed and miss out on your chosen day, so I urge you to check availability right now. I booked 2 Private Drivers with a Van for an 8 hour tour for 21 people. Alberto helped me with the booking since we had a large group. He was very helpful throughout the process. Alberto and Jorge were our drivers and they were excellent. I planned the tour for our group, so our first stop was at the local market to get beverages and snacks. Before we headed to our first stop they took us downtown to point out historical landmarks and history on Cozumel. It was nice getting to know the history of Cozumel. Our driver played different music in the Van that got all of us singing including him. He made the trip from place to place extra fun. We never knew what he would play next. I will book directly with these guys every time I visit Cozumel. If you are looking for a professional company to take you on a tour, book with Cozumel Hire a Driver, you won't regret it! We are arriving on a cruise ship. Do you pick us up at the Cruise Pier? YES. The meeting point for cruise passengers is located directly across the street from the Cruise Pier at the Hard Rock Café. We are staying in a hotel in Cozumel. Can you pick us up in the lobby of the hotel? YES. We can meet you right in the lobby of your hotel. How do I check if you are available on a certain day? You can check our website at any time, night or day, and get a constantly updated completely accurate picture of our availability. But please note, that can change in a heartbeat. So – if you see a slot you want – book it right away. Because, with 80% of our bookings coming from the 20,000 weekly cruise visitors, available slots tend to disappear very quickly. My cruise ship docks in Cozumel at a certain time. When should I arrange to meet your driver? As you are coming by cruise ship, please set the time for us to meet you at least 30 minutes AFTER your scheduled docking time to allow for the delays in embarkation (remember there will be plenty of other folks all trying to disembark at the same time!). Fear not, you are our client for the day, so we won’t disappear if you’re a bit late! I see your minimum pricing is for a group of up to six passengers, but we are a party of four. Can you give us a discount or offer us a smaller vehicle? NO. 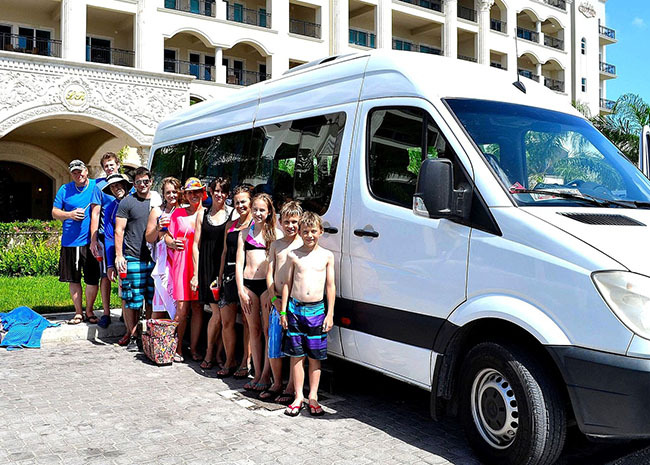 Because our trips are all based on the same 11 seater vehicle and the driver’s time. But you do enjoy the advantage of being able to really spread yourselves in our large, luxurious vehicle. We are only four people. And, as your vehicles take 11 people comfortably could we cut the cost by splitting the charter with another similar sized group? NO. We run private trips only for a very good reason. As a private group, YOU have total control of the day’s program and timings. But, just imagine how that would dramatically change if you had to adjust your preferences and timings to accommodate another party’s different demands. Do your fees include entrance fees and other incidentals? No. Our very reasonable fees cover the day’s hire of the vehicle, driver and all his vast expertise and local knowledge. If you choose to visit any attractions with an entrance fee, these are for you to pay. What happens if my cruise ship is diverted away from Cozumel because of bad weather or some other reason and I so cannot meet you as arranged? In that very rare event, we would immediately issue you with a full refund. © 2000 - 2019 Cozumel Tours by Cab. All rights reserved.